Did you know that He-Man, She-Ra, and friends are back in toy form and better than ever, with figures so hex-cellent that they are now my preferred black magic poppets/Voodoo dolls? You just couldn't get that kind of pain-inducing articulation with the cloth dolls we used in the Middle Ages, I tell you! 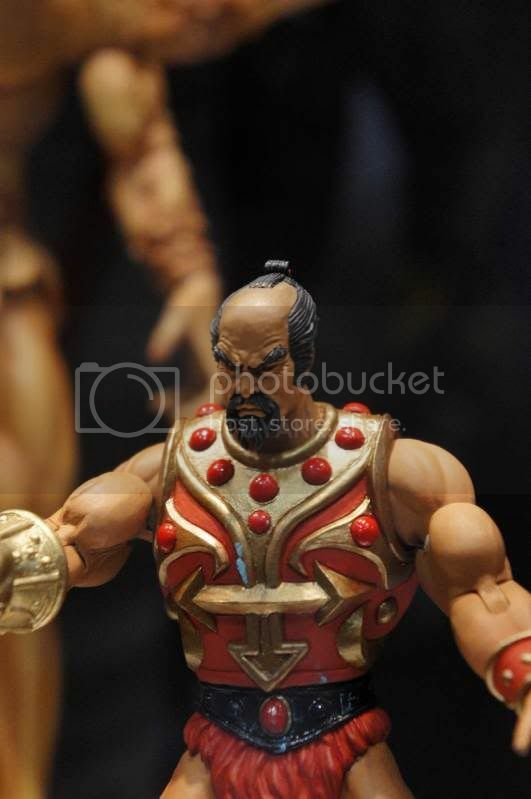 Did you also know that you can get these new figures by subscribing to Masters of the Universe Classics at www.mattycollector.com through Aug. 6, 2012? 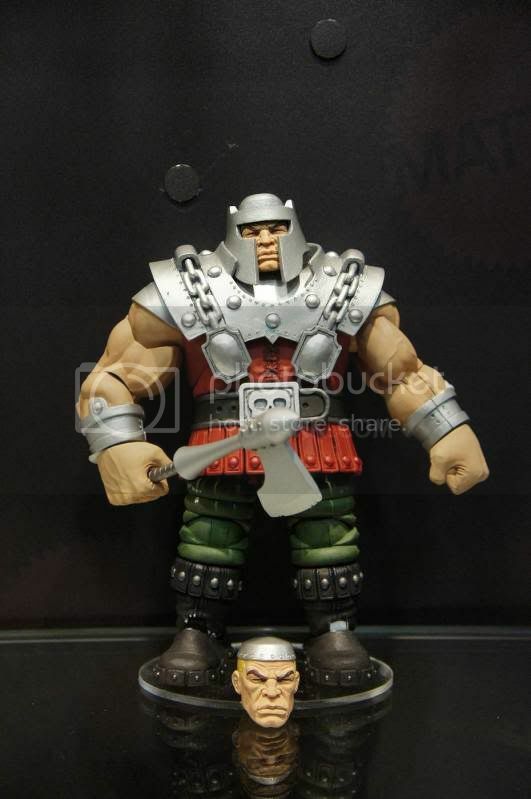 Characters from all realms of MOTU are represented, be they vintage He-Man characters, She-Ra figures, or even occasional New Adventures of He-Man figures. These characters are ALL sculpted by the incomparable geniuses known as The Four Horsemen and feature storyline character bios on the backs of the packages which explore the different eras and characters of the MOTU world. These collector toys are currently only available via a 2013 subscription. Registration for this subscription is open only through August 6th! It’s sort of like a “jam of the month” club where you sign up for a sub and they send you a new figure each month. Four slots for large-scale beasts and multi-packs are also included in the subscription. While the price might seem steep ($25.00 per regular figure), these incredible creations are SO worth it. 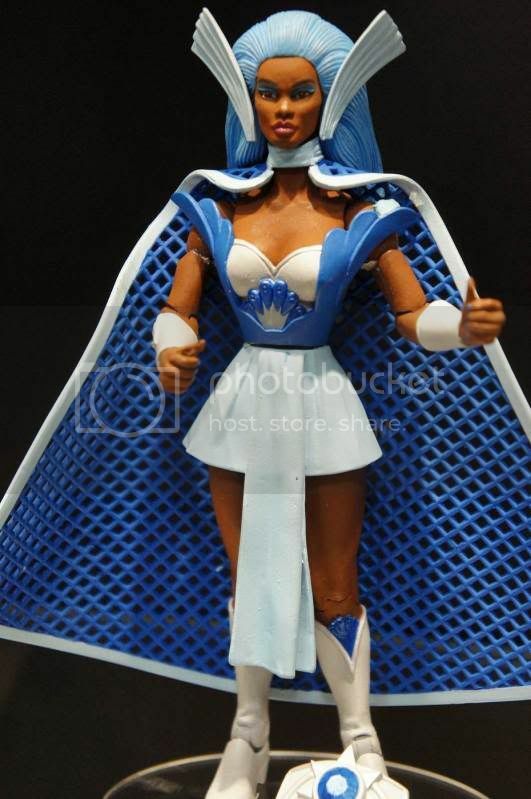 The characters are all beautifully articulated and sculpted, and they are very reminiscent of the characters from the toylines and cartoons many of us loved back in the day. The only way the line can continue is for folks to subscribe. This is a niche toyline (meaning only the cool kids get it, man) so Matty won’t make the figures at all without enough subs, alas. Therefore, if you like this stuff and are into collecting figures, I encourage you to sign up for a subscription. If you are a retailer (comic shop, toy store, etc), consider signing up for a couple of subs. Most of these characters sell quite well on the secondary market so you won’t regret it. It might seem daunting when you look at the overall cost of a sub, but it’s billed to your card monthly so it really isn’t all that bad if you break it down. Now, for anyone wondering “why is Penny Dreadful shilling a He-Man sub?” I’m not getting anything out of this from Mattel. Even I’m not wicked enough to engage in unspeakable dealings with such ominous corporate entities! ;) Just kidding... I AM that wicked. >:) No, I just love me some He-Man and She-Ra and would like to see more toys. Here, you have elements of fantasy, sci-fi, horror, sword & sorcery, fairy tales, superheroes, weird western, mythology, monsters, barbarians, robots, princesses, ninjas, witches, unicorns, aliens, ghosts, dragons and all kinds of other speculative fiction archetypes all blended together into colorful worlds of cool craziness. Somehow, it all works brilliantly and I’d personally like to see it continue. While I know the sub model is not ideal for many, it is currently THE way to keep this line going. Give it a shot for 2013!